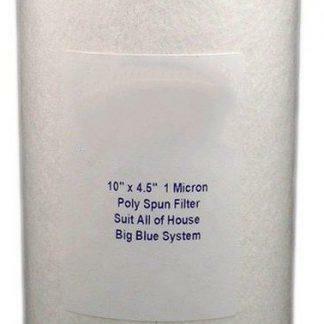 20″ x 2.5″ Pleated Sediment Filter – 20 micron. 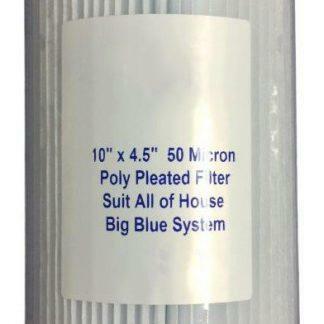 This filter is washable and re-usable. Pleated filters have a much larger surface area of filtration than other types of cartridges, such as a Poly Spun Cartridge. This equates to a longer period of time before blocking. Unlike Poly Spun cartridges, pleated filters can be washed and re-used over and over again until such time that perforation occurs. This can make them more suitable for use on murky, dirty water, or water which may be prone to blocking filters prematurely.